Help make a WONDER-ful World! *Take the "Choose kind" pledge! Young people can GET INVOLVED after reading Wonder! 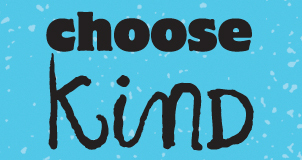 Lots of schools are taking the "Choose Kind" pledge school-wide with Wonder read-alouds in every classroom, huge student pledge displays in their hallways and special anti-bullying campaigns and assemblies. Wonder has inspired so many young people and the momentum is massive. *Sign the PLEDGE to "Choose Kind". *Teachers/Librarians can print out "Choose Kind" certificates. *CONNECT through Twitter and Tumblr! *connect to other Anti-bullying campaigns!